These Category 6 cables are constructed with 28 AWG copper conductors with FEP (CMP) insulation. The copper conductors are twisted in pairs, separated by a cross divider and covered by a low smoke, flame-retardant (CMP) PVC jacket. 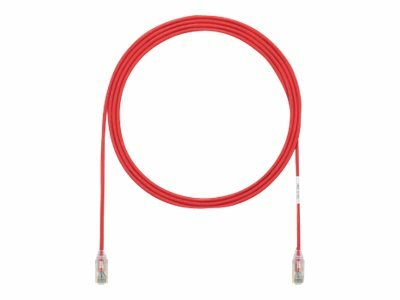 This innovative small cable diameter design allows for improved pathway capacity, tighter bend radius and provides flexibility when installing.